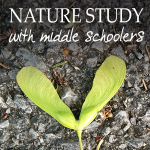 I am often asked – is nature study enough for our homeschool science plans or do we need to add more hands-on science? Yes, nature study is enough. And, no, nature study is not enough. To which I get a confused look as a response! What are your goals for science? Let’s dig in a bit deeper . 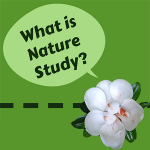 . .
Is nature study enough for homeschool science? To create an interest in the student for learning science. To fill the student’s mind with interesting, but basic scientific information. In a nutshell, your main objective for science in the elementary years is to spark a desire within your student to learn more. And formal nature study can certainly help you do this. Of course, you might want to add in a few books related to the topics, but overall your students will gain a tremendous amount of scientific knowledge just by observing and learning about what can be found in their backyard. No, nature study is not enough. To begin to train the student’s brain to think analytically about the facts of science.To familiarize the student with the basics of the scientific method through inquiry-based methods. To familiarize the student with the basics of the scientific method through inquiry-based methods.To continue to feed the student with information about the world around them. To continue to feed the student with information about the world around them. In a nutshell, your goal for these years is to capitalize on the students need to know why as you continue to feed him or her with scientific information. It is a bit difficult to add inquiry-based methods – basically, this refers to hands-on science that follows the scientific method – to a formal nature study. But the glaring weakness I see in nature study is the lack of chemistry and physics. You can work hard to share a bit of these subjects by discussing gravity and by studying chemical reactions in nature. But you can’t hit every topic – it’s difficult to study Newton’s laws of motion and the periodic table using only nature study. And it is important that our students have at least one pass learning about chemistry and physics before they head out to high school. This will make it so much easier for your students when they reach these subjects in high school. So as much as I love nature study and see how beneficial it is to take our science-learning outdoors, I have to say that nature study on its own is not enough for middle school and beyond. 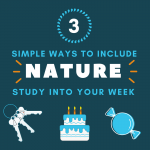 Rather, nature study should be the icing on your science cake or the occasional treat. Yes, if your students are younger, formal nature study with a few books sprinkled in is enough. 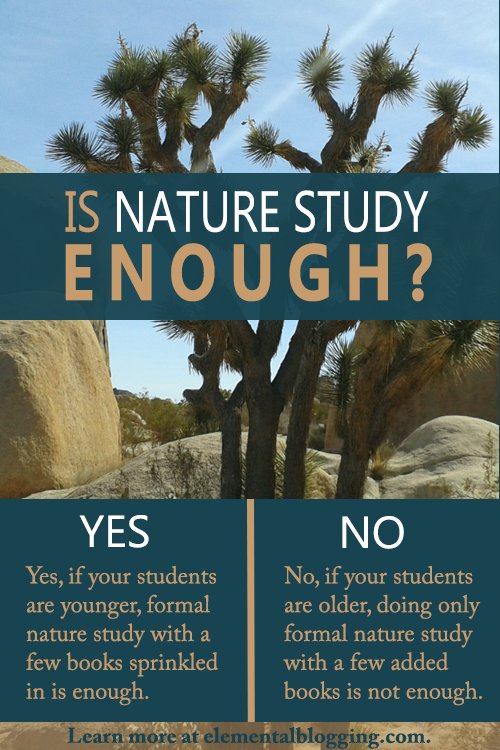 But if your students are older, no, formal nature study is not enough. I hope that clears up the whole “is nature study enough” issue for you. If you still have questions, please don’t hesitate to leave them in the comments below!